When you export your entire portfolio as HTML and click on "Browse your file collection" on the index.html page, you see your file browser (see attached), but without the Font Awesome icons that should be displayed. 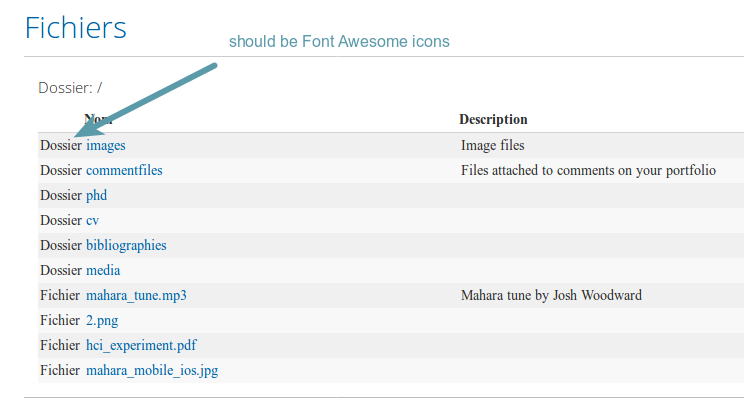 We can display Font Awesome icons in other areas and thus it should be possible here as well. Changing this path to Font Awesome must have been forgotten when we removed the images.